On the 16th October 2018 the Centre was delighted to welcome our third speaker of the semester – and the second in the Islands programme – Professor Meg Bateman. Professor Bateman is a senior lecturer at Sabhal Mòr Ostaig, she has published extensively (both academic work as well as three collections of her own poetry), with research interests including literature, Classical Gaelic, folklore, images in the imagination of the Gaels, and philosophy. Bateman’s talk, entitled ‘Fenian and Cù Chulainn Sites in the Isle of Skye’ was a thoughtful and thought-provoking rumination on the Gaelic visual imagination in the landscape of Skye. Bateman discussed the nature of places in the landscape of the highlands and islands of Scotland that have attached to them stories from, in particular, the Finn and the Ulster Cycles of Early Gaelic literature, noting that occasionally we find sites which have associations that are a mix of the two cycles. 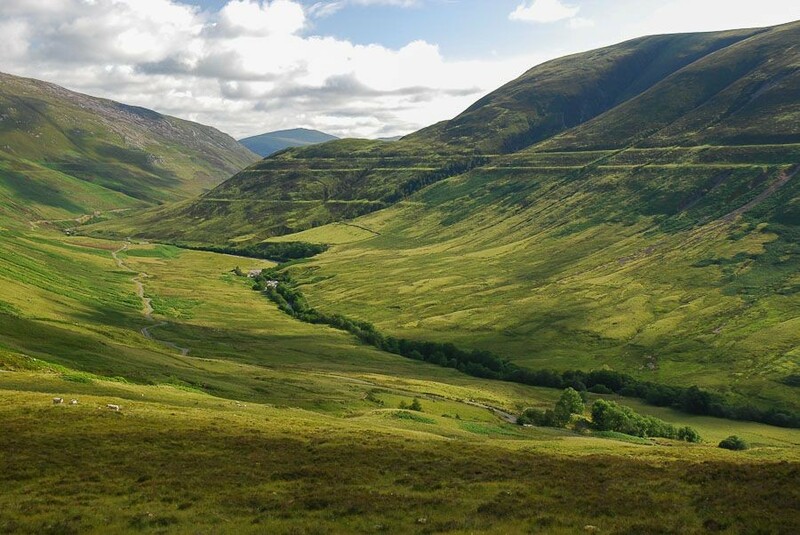 One such site is that of Glen Etvie in the highlands, which has associations with Diarmaid and Gràinne and with Deirdre. Bateman remarked that we find clusters of stories related to sites of prehistoric human remains (i.e. prehistoric burial sites), and asked the question: Why do stories become attached to the landscape in the Gaelic tradition? In Gaelic folklore there are very few stories which were specifically for children, however, Bateman suggested that this placing of the tales in the landscape could have been a way to give the landscape a sense of veracity for children. Another possibility is that by tying the tales into the local landscape the highlands and islands of Scotland were made into places ‘where wonders have happened.’ This is a marked difference from, for example, English fairytales – where things often take place in another realm. In the Gaelic tradition, the stories being told are those of the ancestors of the Gaels and by believing these tales the Gaels are taken to a time when they were magnificent; the glorious golden age. The Gaels looked to the landscape around them for evidence of the existence of the heroes of the past, such as Finn and Cù Chulainn and of a time where the Gaels had power and influence. In doing so, they also imagined that their ancestors had been giants, an idea supported by evidence such as huge ruined structures and Elk bones – in the past, when their heroic ancestors walked the land, everything was bigger and better and has since shrunk in size. Clach Luath at Dùn Sgàthaich in Skye is so named because it is where Cù Chulainn would tie up his dog, Luath; Beinn Tianabhaig near Portree is associated with the Lay of Diarmad; the many caves on and around Skye are also associated with folkloric traditions, such as the Pipers’ Caves and MacCroitir’s Cave which are said to be connected to one another and to the Otherworld. Bateman noted that there are 83 brochs and duns on Skye; these were built in a very specific double-walled construction, meaning that it was possible to build them to a much greater height than any other building. Bateman explained that both these kinds of prehistoric remains and strange outsized landforms become mythologised, meaning that the stories about the past are accessible in a tangible way in the present. One such example (though not from Skye) is Casa na Feine – the Parallel Roads in Glen Roy which are said to be the tracks of Fenian chariots. In reality, they are a naturally occurring geological feature from the end of the Ice Age. The example of this site demonstrates that both the scientific and mythic approaches to these sites are equally important. Many of the sites, such as the brochs and duns, are in fact Iron Age in date, though they were re-imagined in the medieval period as Fenian. Bateman also noted, however, that though many of the tales in question were first recorded in the medieval period, many of the stories which are attached to specific sites in the landscape are much later. There is, of course, difficulty in accurately dating when the stories become attached to the sites but even so, it is apparent that many of them are post-MacPherson. MacPherson placed a unity on the tales that wasn’t there previously and the tales themselves continued to have currency in the popular imagination because people wanted to believe that their ancestors were magnificent giants capable of incredible feats. 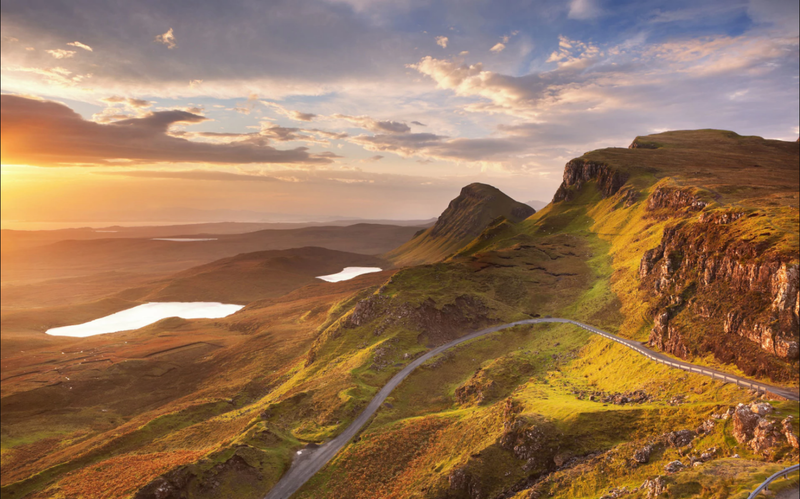 It is difficult to parse genuine medieval and later post-MacPherson traditions and Bateman noted that Skye has so many sites with rich associations to the Gaelic tradition due to the density of prehistoric sites as well as the amount of wilderness. Of course, generalised stories become popular and as such we find many examples of the same story being attributed to different sites in locations all across the highlands and islands. Professor Bateman concluded by noting that the function of the Fenian and Cù Chulainn Sites on the Isle of Skye is that they both commemorate and prove the evidence of the heroes of Gaelic tradition.